Will Trump Make America Great for Everyone? Until about a year ago, I did not follow politics very much. However, this election has captured many people’s attention including mine. I think it’s mainly because of Trump’s outlandish statements that grabbed the attention of the media. Now, I am hoping that he will get the attention of the media on a topic that affects ALL Americans and has not yet been talked about. That topic is the mental health crisis. I have written emails, made phone calls, used Twitter and FB to asking the candidates and the media to talk about the issue of mental health. I even drove two miles to personally deliver a letter regarding my pleas. I also was interviewed by a television channel and a newspaper at that event. However, I don’t hear anything back and my voice seems to have no impact. Well, I live in NC and am an independent undecided voter waiting to hear how each candidate will SOLVE the mental health crisis. How am I going to pick the best candidate when they don’t even talk about it? I already have shared blogs about specific candidates. I have already written one about Hillary and Clinton, but this one is dedicated to just Trump. My hopes that because he gets the national attention that he does, that he has the best chance of getting the candidates to talk about how they are going to SOLVE the mental health crisis. I have tweeted messages and left phone calls already today. I understand he is busy and so are his staff. However, like I have said before, if a president can’t hear and respond to every voice in a nation of “people by the people”, then he is not qualified to be the leader-in-chief if you ask me. That is beside the point. I wanted to share with you the message I left on his form and the email I wrote to him. My voice mail messages said pretty much the same thing. Will he answer them? If not, I am going to have to assume he does not care about the mentally ill and the mental health crisis any more than any other candidate. I would be willing to help volunteer in any way that I can in Winston Salem, NC from now until the primaries. I would then help Trump get elected in the general election. It would be Great to See America again. However, I have to admit that as of right now, I am an undecided (independent) voter and in order for me to help in every way I can think of, I would like for him to come to Winston and talk about an issue that affects every American yet has been a taboo subject so far in the debates. If he can get the topic discussed and comes up with a good solution, he will have my vote and I am sure the support of many other advocates. We make up more than 25% of vote. In my blog article (link below), I also give some suggestions of what he can do to solve it. Before reading the rest of this, I want you to know that I have graduated from college, was a manager of a movie theater and a teacher for 9 years-even Teacher of the Year one year. However, I have bipolar disorder. WAIT, PLEASE , if you think I am crazy because I have a mental illness and am a mental health advocate, please don’t. If you think my vote does not matter, then don’t. I, along with other mental health advocates will be voting in NC. PLEASE before dismiss what I am saying, talk to a mentally ill person or their family member. Think about the tragedies that are caused by the mentally ill. Please get Trump to talk about this important and critical issue. 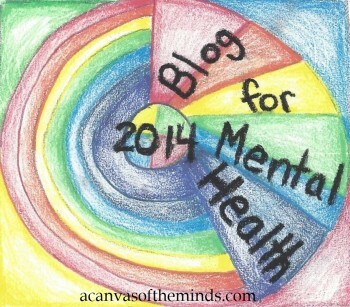 Do the votes of Mental Health Advocates Matter? I also help out with other FB groups and know a lot of well known advocates. In addition, I organized an event that focused on mental health in Winston Salem and that is the main reason I have the connections. However, I have also served on boards that deal with the mentally ill. I am an independent UNDECIDED voter living in NC who will be voting on the 15th. Honestly, Trump is not on the top of my list of people to vote for. However, I would do everything I could to help win in NC if he were to get the other candidates to talk about how they would SOLVE the mental health crisis and he had a good solution. At the bottom of the message I included a link to some great ideas of what he could do. One in four people have a mental illness. They all have friends and family. All Americans are affected because of the national tragedies. However, the candidates avoid the topic like the plague. As a mental health advocate who has a way to contact over 200,000 mental health advocates locally and via social media, I would like to know what his stance is. I can verify this if asked. I can get local mental health advocates together to ask him questions and can get a venue for him that holds 2,000 people. However, with his crowds and pull, there are other places locally that he could use. Please let him know that I, and other mental health advocates would like to base our decision on who to vote for now and in the general election on how they would solve the mental health crisis. How can we do that if they don’t even talk about it? Does Trump care enough about the mentally ill and the mental health crisis to actually talk about it and get the other candidates to do so also? Does Trump care about the vote of the mentally ill, including mine? Is he brave enough to come to an event where mental health advocates get to ask him questions? Time will tell, but if he doesn’t confront it in the campaign, I can tell him that we,the mentally ill “crazy” people can and will vote. You can’t build a wall around us, Trump! This entry was posted in media, mental health advoctes, mental illness, politics, presidential election and tagged all lives matter, florida primary, gop, gopdebate, make america great again, mental health, mental health advocate, mental illness, north carolina primary, ohio primary, polls, presidential election, rally, republic, trump, trump for president. Bookmark the permalink.